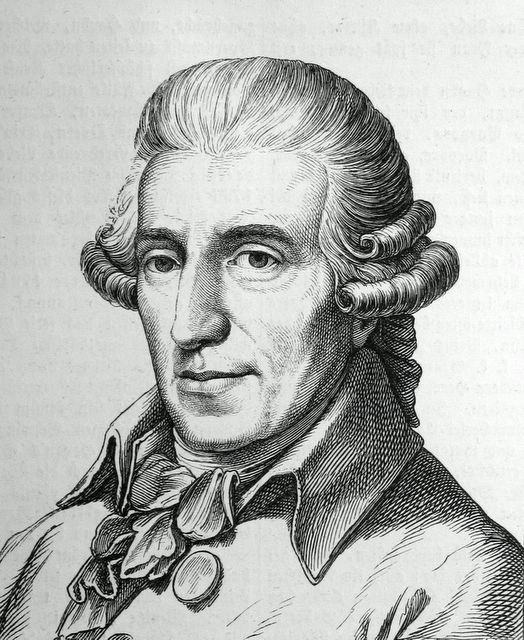 Haydn's second cello concerto was composed in Esterhazy 1783 at the time when Haydn, though still employed by Prince Nicholas as music director, was beginning to establish an international reputation as a composer. In the same year he received the commission to write the Paris symphonies. The solo part was written for Anton Kraft who was a cellist in the Esterhazy orchestra. After the dissolution of the orchestra in 1790, Kraft went to Vienna and where he became regarded as the foremost master of the cello. The solo part is very challenging especially in the first and last movements where Haydn writes many double stops and octaves. Like the fourth and fifth concertos in Hoboken's catalogue of Haydn's works, the piece's authenticity was doubted for some time, despite its obvious qualities. However the discovery in 1951 of a manuscript bearing Haydn's signature has dispelled all doubts. The first movement sets the character of the work which is leisurely and amiable. It is in the usual sonata form with the exposition played first by the orchestra and then elabourated by the soloist. The material is then developed and recapitulated. The slow movement is marked Adagio and is in the dominant key A major, with the central section moving to the unusual key of C major. The final movement is in rondo form, with a dance like main theme in compound time, and two episodes, the second being in the minor mode. Haydn's second cello concerto was performed the Portobello orchestra on the 24th March 2012. The soloist was Nathaniel Boyd and the conductor was Anthony Weeden.